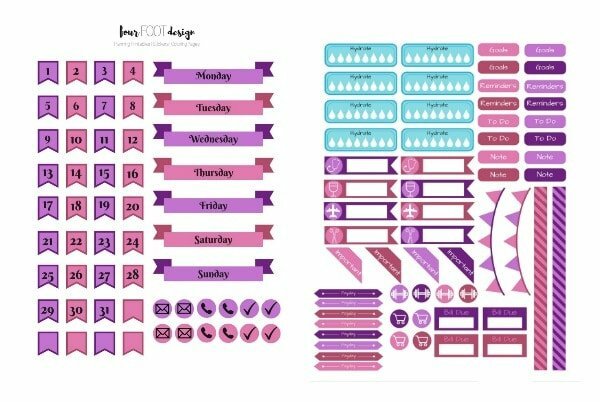 While it’s not necessary to add cutesy stickers to your bullet journal, these completely free printable planner stickers are fun and can help you organize your days. 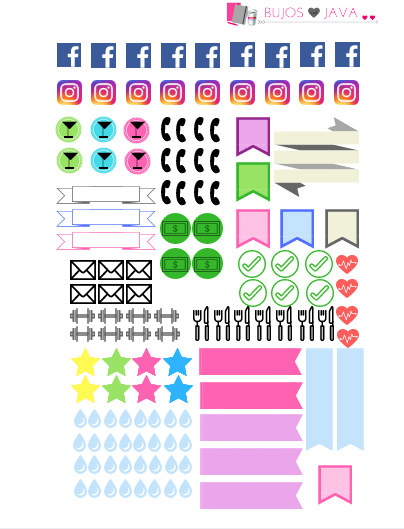 I made a few sheets of stickers for an Etsy store I was opening and then backed out of because I already have two blogs, am enrolled in online college full time, and am a mom of two. So, an Etsy shop was just going to be a little too much for me, despite my ever growing ambition. So, instead, I decided this was a great place to share my freebies. 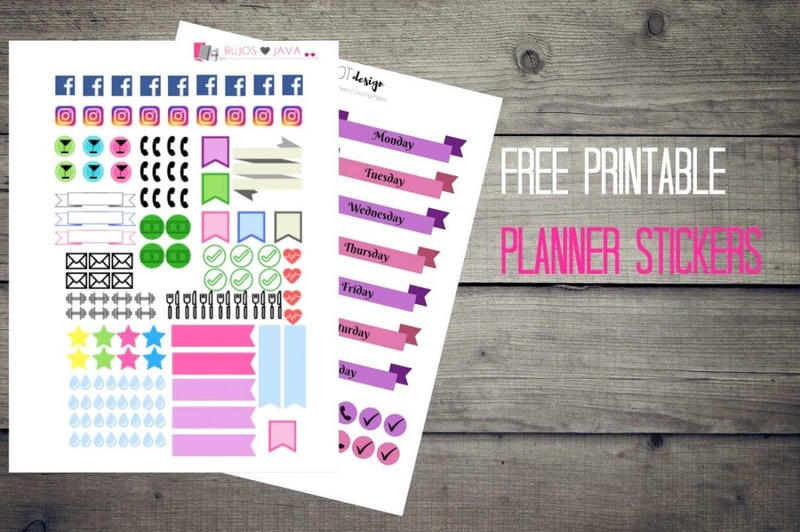 To use these, simply download the PDF file, load some sticker paper in your printer, print, and cut out the stickers. 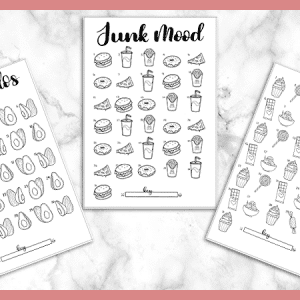 You’re also welcome to print these on regular paper, cut them out and use an adhesive (Tombow Mono Removable Adhesive is my favorite). You can print these as many times as you want and use them repeatedly. I only ask that you don’t resell them or claim them as your own. You know, respect. I really appreciate it. 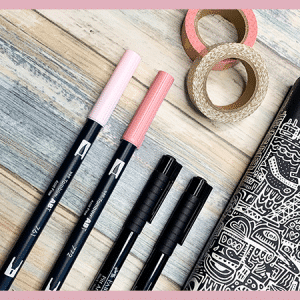 I don’t too often use stickers or washi tape in my bujo because I’m more of a doodler, but I do occasionally use them to save time, add some much-needed color and really make something that is priority pop out. 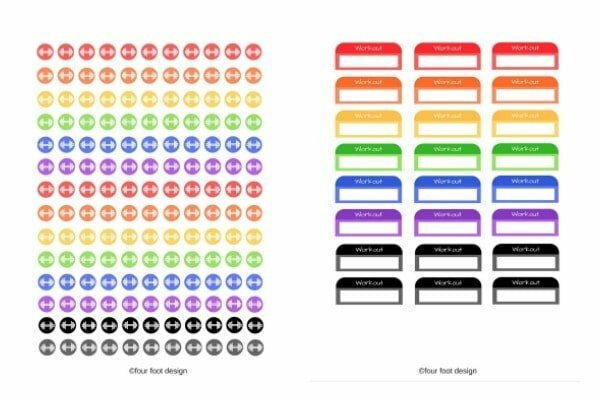 In the future, I plan to make some stickers on my new Cricut Explore Air, and I will share how that goes. 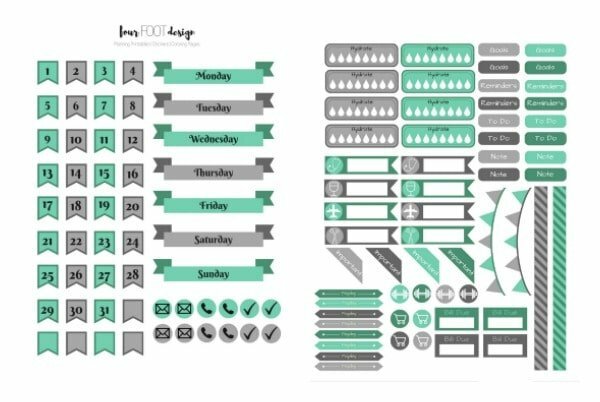 I could go on and on about all the fun crafty projects I have in mind for my Cricut, but I’ll save it for later. 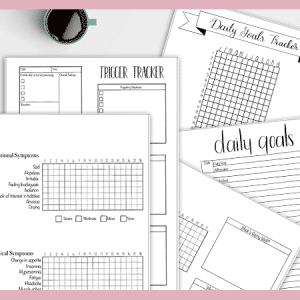 If you enjoyed these stickers please share with your friends on social media and be sure to subscribe to my newsletter for more freebies, great resources on bullet journaling, deals and more.